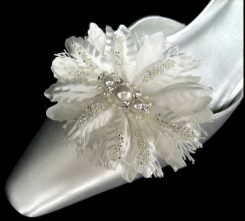 601SC is a beautiful flower shoe clip. 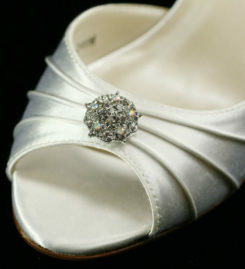 It will add a nice personal touch to any pair of shoes. 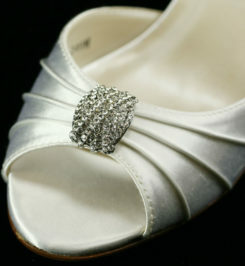 THIS ITEM IS SOLD AS A PAIR AND IS A FINAL SALE. 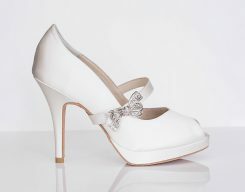 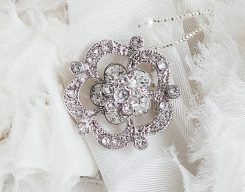 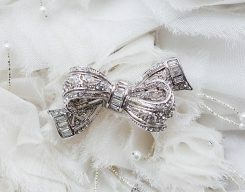 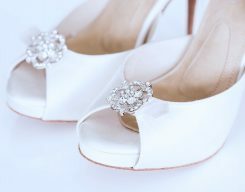 601SC Silver Shoe Clip is a rhinestone flower shoe clip that can be attached to the front of the shoe. 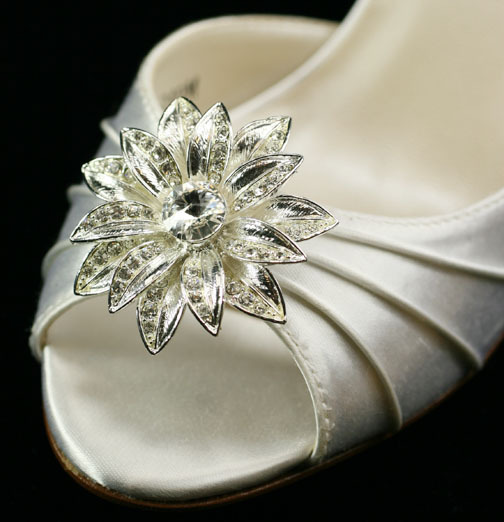 The addition of a shoe clip adds personality and flair to the shoe of your dreams. 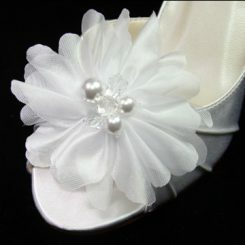 The flower is perfect for a spring or summer wedding. 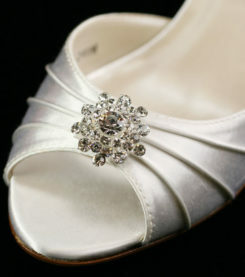 THIS ITEM IS SOLD AS A PAIR AND IS A FINAL SALE.